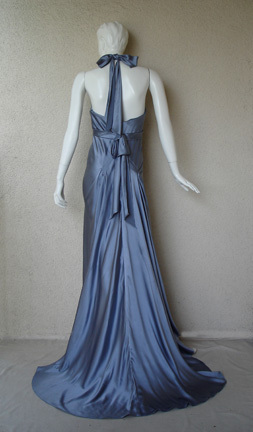 Oscar de la Renta bias cut gunmetal blue silk charmeuse halter gown as seen in his recent runway collection. 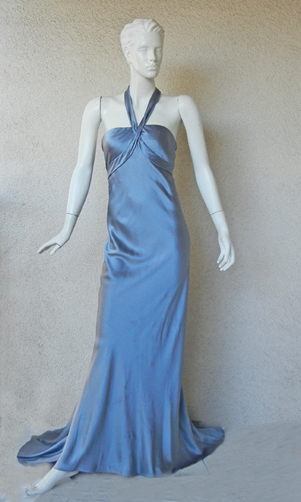 Designed in the tradition of 1930's Old Hollywood glamour ... very reminiscent of the legendary "Jean Harlow Look". 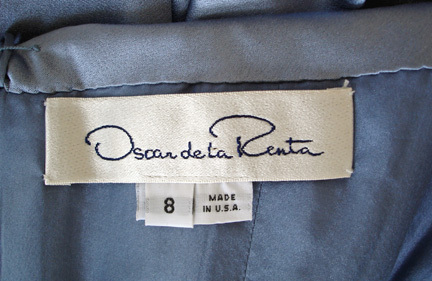 Fashioned of soft silk charmeuse cut with fluidity and precise drape to the body. 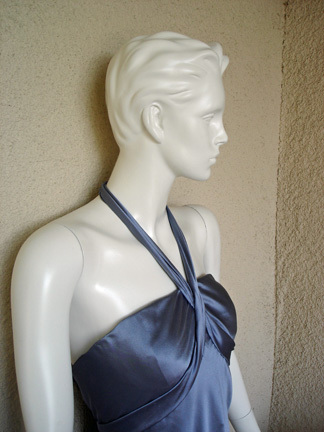 Hallmark old Hollywood bias cut; tie halter neckline and open back creates the look of fantasy in motion.